- and so was I. After a week with back pain on and off finally Friday I felt good again. It became a normal Friday except that I was really going to Zürich to see TOSCA with Maria Guleghina, Marcelo Alvarez and Ruggero Raimondi. Act 2 and with the first note that was sung the opera flying high. Ruggero Raimondi used his age to the advantage to create his menacing Baron Scarpia. This was an old and dangerous Scarpia. Marcelo Alvarez was the noble and aristocratic Cavaliere, proud and in defiance. Maria Guleghina was the Diva and Woman in Love. Act 2 was high drama, wonderfully acted and sung. I loved her "Vissi d'arte", it was so pure and true. For me there are no Tosca like Guleghina and how she sang acted to Cavaradossi and Scarpia was amazing. And unforgettable it was when Tosca realized after the fury and fear that she has really murdered someone. Act 3 gave a wonderful "E lucevan le stelle" by Alvarez and of course the duet with Guleghina was a wonderful, too. Strange as it seem I still cannot say it was the best Tosca performance that I have seen. 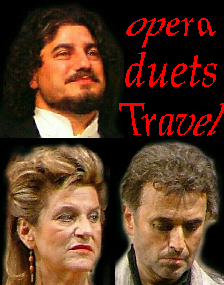 I have seen Marcelo Alvarez, Maria Guleghina and Ruggero Raimondi making better Tosca performances but never together. This performance came close to be the best TOSCA performance. Still, the shouts of Brava and Bravo was highly deserved. 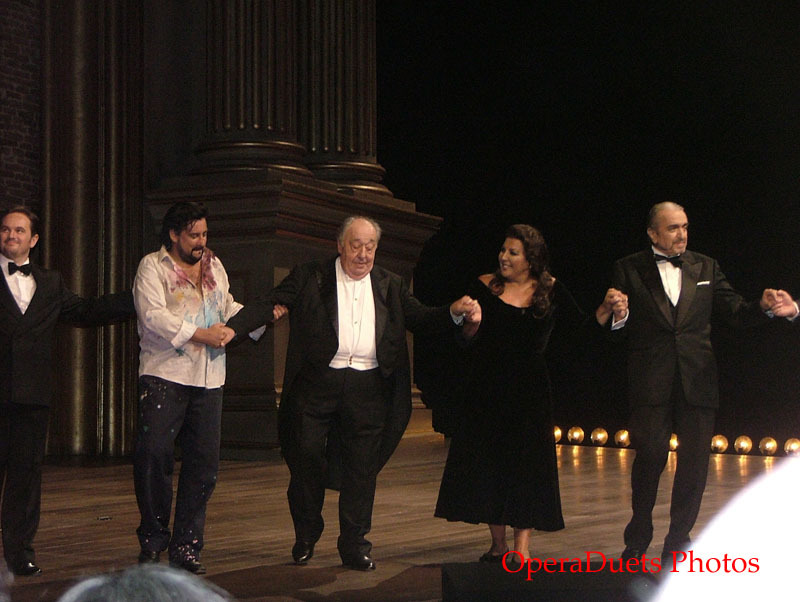 And after the performance Marcelo Alvarez came first out the stage door, then Ruggero Raimondi and lastly Maria Guleghina. Then I got the chance to ask Maria Guleghina if she was feeling better. And she said yes, and that made me so very, very happy. And I used the opportunity to tell her how I enjoyed the way she sang "Vissi d'arte". And then we were both free to go, each over way.